Susan had always been a bit odd and never really got on with her cousin Nick, but the mark on her wrist draws them together in a frightening adventure. They are summoned to the beautiful land of O in a last-ditch attempt to save the planet from cruel Otis Claw and his followers, the evil Halfmen, who have lost every trace of human goodness and kindness. 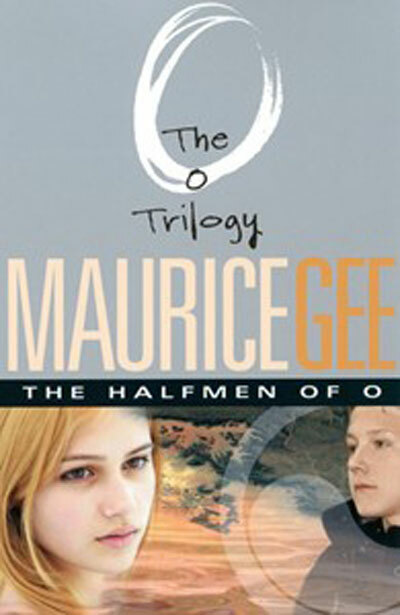 Maurice Gee has long been considered one of New Zealand's finest writers. He has written more than thirty books for adults and young adults and has won numerous literary awards, including the UK's James Tait Black Memorial Prize for fiction, the Wattie Award, the Deutz Medal for Fiction, the New Zealand Fiction Award and the New Zealand Children's Book of the Year Award. In 2003 he received an inaugural New Zealand Icon Award and in 2004 he received a Prime Minister's Award for Literary Achievement. Maurice Gee's novels include The Plumb Trilogy, Going West, Prowlers, Live Bodies and The Scornful Moon. He has also written a number of much-loved children's novels, including Under the Mountain, The O Trilogy and The Salt Trilogy. Maurice lives in Nelson, in New Zealand's South Island, with his wife Margareta, and has two daughters and a son.